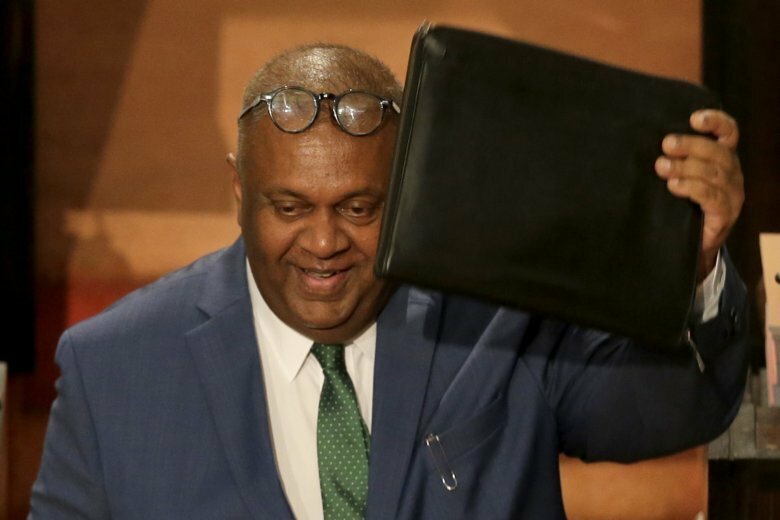 COLOMBO, Sri Lanka (AP) — Sri Lanka’s government on Tuesday proposed increases in spending on public servants and incentives to boost agriculture and fisheries in a new national budget, which opposition lawmakers criticized as an attempt to attract voters ahead of a presidential election this year. “They have presented this budget targeting the presidential election which is to be held within the next few months. They are trying to deceive the public for their political gains. The government will not be able to implement these proposals because they don’t have money,” he said. Sri Lanka’s annual budget is usually presented in November, but was delayed by the political crisis. However, Rajapaksa could not achieve a majority in Parliament and Wickremesinghe maintained his sacking was illegal, saying he still controlled a majority in the 225-member house. A subsequent Supreme Court ruling declared that Sirisena’s dissolution of Parliament was illegal. Sirisena was forced to reappoint Wickremesinghe as prime minister.